It's a grey day in Vancouver and the Olympics are over (what are we going to watch now?) but the three lucky winners of our Share the Spirit Olympic Giveaway have reason to cheer up! And without further adieu, we shall ask our winners to take the podium. Congratulations to you all! Please email us at customerserviceatlavishandlimedotcom within the week to claim your prize. 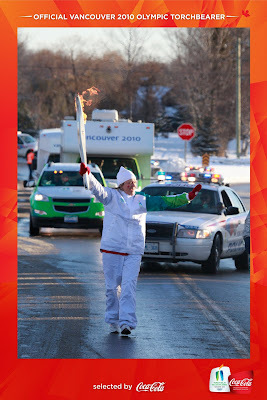 "I saw the torch relay at the CN Tower. It was cold and an early start for me, but it was worth it. Just seeing the flame being passed gave everyone such a great feeling of being a part of something much bigger than just getting up early on a Friday to watch a torch go by. The Olympics is a time when the whole world gathers to put aside their differences and celebrate together. As we all dispersed after the flame had long gone by, the sky was just starting to lighten up for the morning just like any other day - only it felt like a day with so many more possibilities." "I was at the laundromat, totally oblivious to the outside world when a crowd started gathering outside. 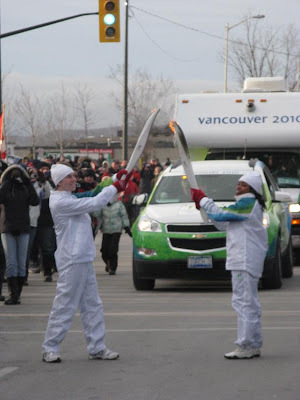 For 20 minutes they stood there, then I finally saw a woman running down the street with the Olympic torch, and I ran outside and started taking pictures with my cell. 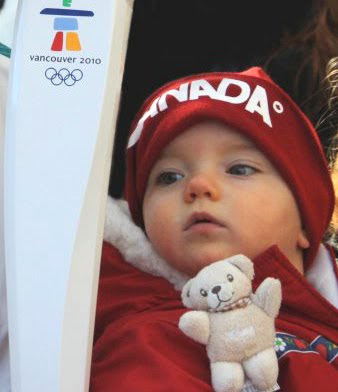 It was awesome...such a proud moment to be Canadian :)"
"My Olympic Memory is sitting with my children watching the Canadian women's hockey team play their first game in 2010 games! My daughters were screaming ... and cheering. I am sure the players heard them all the way from Ontario!" Below are some of the photos sent in as bonus entries. 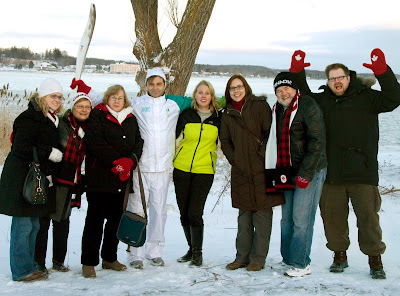 Click here to scroll through all the favourite Olympic experience entries we received - and share the spirit!